If you’ve followed me on Snapchat or Instagram Stories for a bit, you may have seen an overload of makeup posts during IMATS LA a few weeks ago. This was my 6th year at the International Makeup Artist Trade Show, it being our annual LA girls trip every January. The event is ticketed and open to both industry and general consumers, so for a small price you can score amazing sales. Not only that, there are also live demos, competitions, and sessions with world-renowned MUAs. Every year I’ve shared my haul so here’s my haul for 2017. This year I imposed a strict budget on myself so I could focus on only picking up unique and quality pieces to add to my collection. I specifically sought after a few luxury makeup brushes and hard-to-find liquid lipsticks. Watch my haul video below and scroll down for a full list of products I bought. Some of my other favorite brands to shop at IMATS are House of Lashes, Skindanavia, Crown Brush, and Naimie’s. These brands offer up to 40% off so it’s the perfect opportunity to stock up on your staple products. Thanks for reading! If you enjoyed this post or video, please check out some of my other IMATS posts from the beauty archives. Also look out for an IMATS vlog coming soon to my YouTube channel. Awesome! I’ve heard really good things about the silicone applicator. Everything you got looks so beautiful! Wow!! amazing haul, i love your mani. I would definitely try out the mascara,next time out shopping. omg I am DYING to go to the NY IMATS! Looks like you got some great products! I have always wanted to go to IMATS!!! I’m so jealous. Maybe one year I will go. You got some amazing things. I have never used any products from Jouer. I will have to look into their stuff. Those lip colors are so pretty! 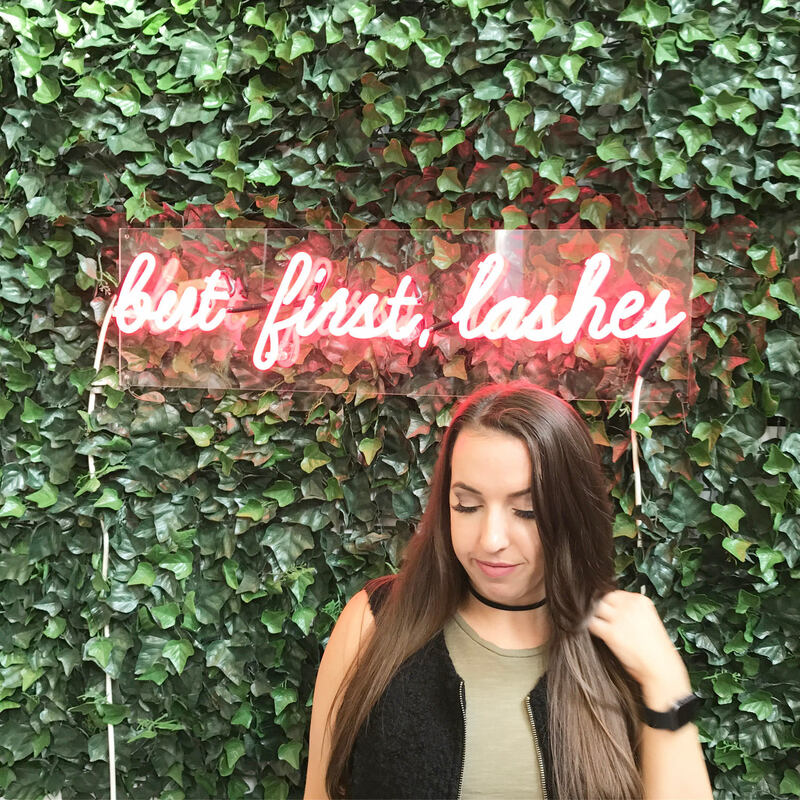 i love that “but first lashes” sign! I need to find that for the girl that does my lash extensions for me! She would die!